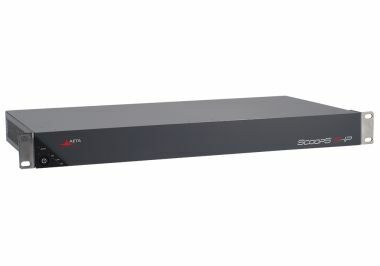 Scoop5 S-IP performs reliable and robust links thanks to innovative features, such as packet duplication or double streaming. The device can also transmit the audio signal on leased lines. Coming with free factory SIP accounts on AETA SIP server, Scoop5 S-IP also offers a “Direct RTP” mode. The “Direct RTP” mode allows you to set up a link over an IP network without using the SIP protocol.